The Bengal cat breed started its development in the 1970s. 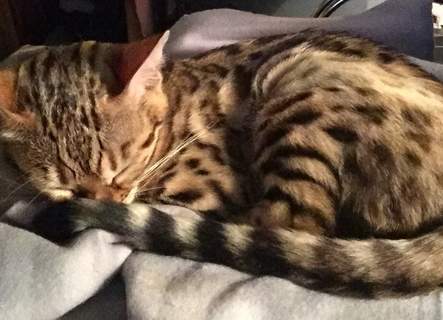 Scientists crossed the domestic cat and Asian Leopard Cat (ALC) with the primary aim of introducing the ALC's immunity to Feline Leukemia to the domestic cat population. 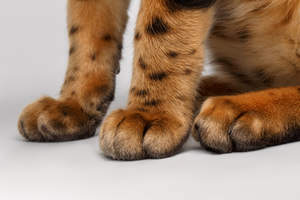 These experiments failed, but the unique wild look of the hybrid caught the eye of several cat fanciers. Many of the hybrids from the experiments of Dr William Centerwall were given to Jean Sudgen Mill. Mill began to further develop the breed and bred from these cats, and today's Bengal cats can be traced back to Mill’s cats. 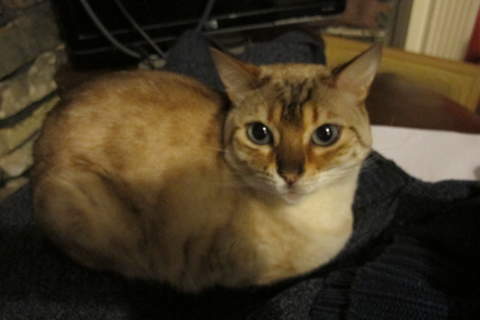 The breeding programmes incorporated other breeds including the Abyssinian, British Shorthair, Bombay, and Egyptian Mau. 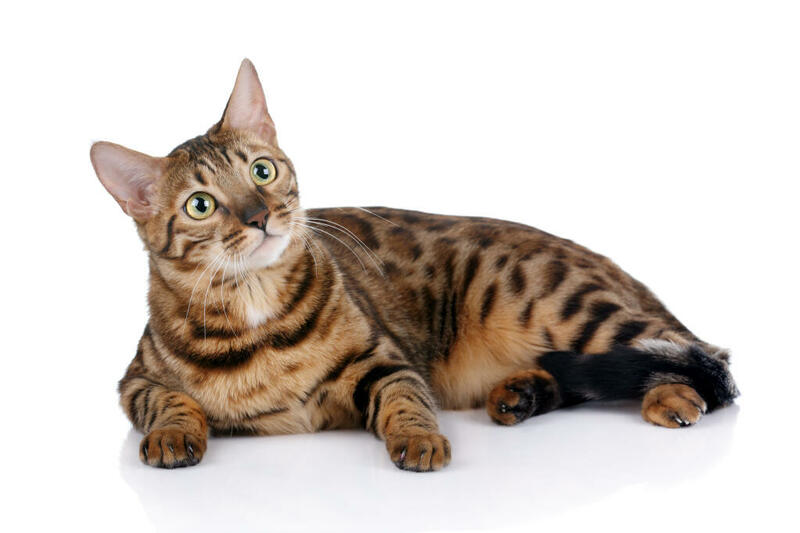 The Bengal breed was officially recognised in the 1980s. 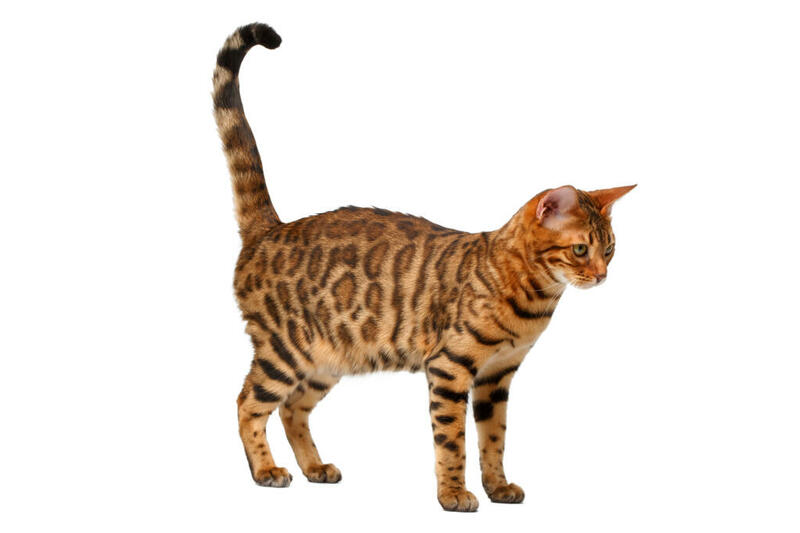 The name ‘Bengal’ comes from the latin name for the ALC, ‘Prionailurus bengalensis’. 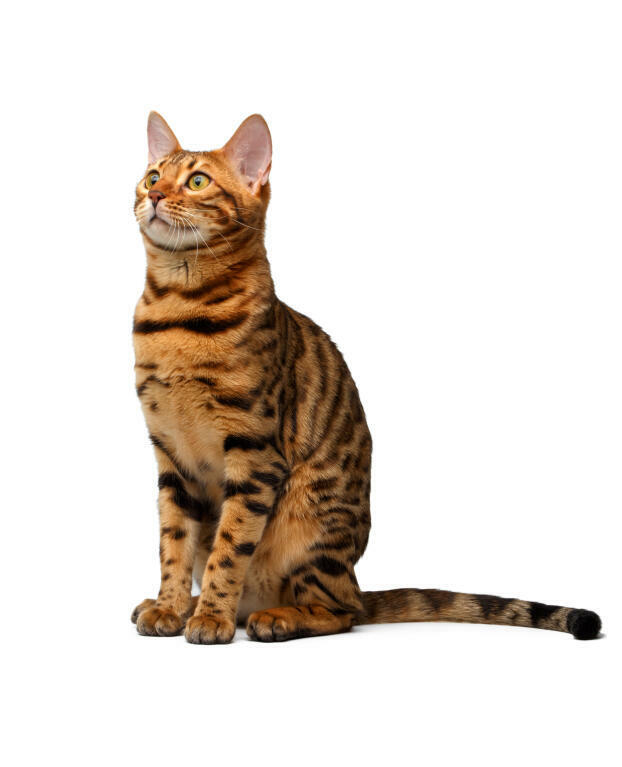 Today the Bengal cat is one of the most popular breeds all over the world and there are lots of successful breeders. Because the Bengal breed is derived from a wild cat there are different ‘foundation’ cats (F1, F2, and F3). The number refers to how many generations the individual is from the Asian Leopard Cat. F1, F2,and F3s are not allowed to be showed and only the females are used in breeding. 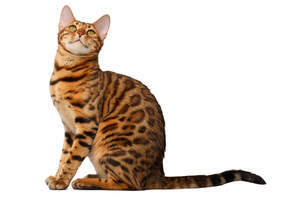 The Bengal cat is a very energetic, playful, and intelligent breed. 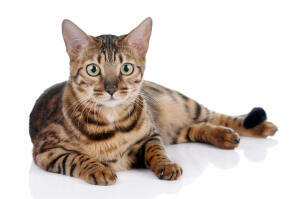 This breed is generally not recommended for first time cat owners as they can be a handful. Bengals are very vocal cats and will chirp, and trill at their owners as if they are talking to you. 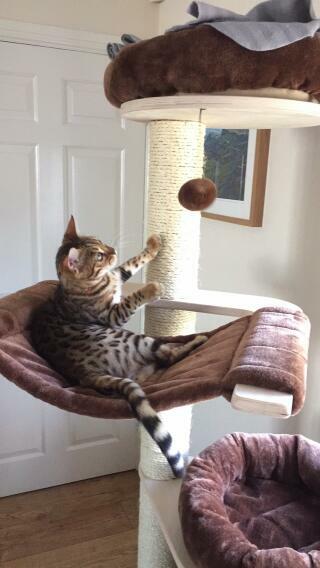 Bengals love having their owners attention and will want to play regularly. This breed has even been known to enjoy playing fetch and playing in water! 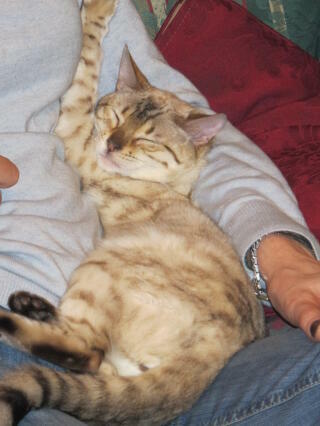 Because of their wild genetics Bengal cats need lots of mental stimulation and exercise to remain happy. Seal sepia, brown, silver, snow colours. Spotted, Rosetted and Marble coat patterns. What a beautiful friend, she came at 14 weeks and immediately ran to the top of the bookshelf. 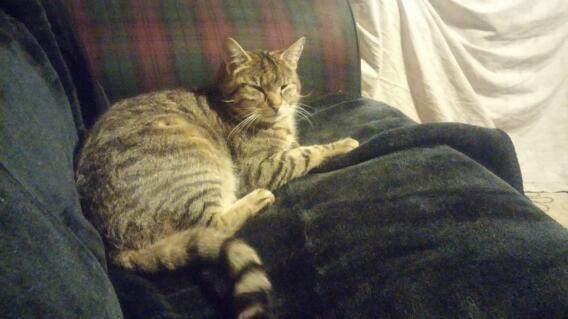 Her first year she was a house cat, and would run upstairs to bed with the children. She was very vocal, tell you when she had run out of food (but not hungry), when she had used the litter tray, complain if you were on the phone like a child, and drank water with her paw, she eats dried food but knows if you pick a tin of tuna up, or the sixth sense you have gone to the fridge for ham or lamb. At a year old when our first Pekin chicks turned up and were big enough to go into the back garden, Darshini was let out. She never went outside the small walled garden. 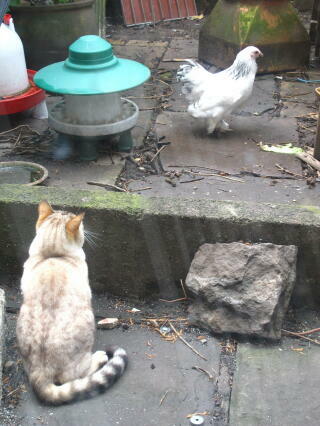 She uses one plant pot as a litter tray, watches birds but never catches them, her amusement is her bantams. She is a good rat catcher, and has had a fight with a fox with no harm to herself. Personality is great, (the local vet informs me all the other owners say the same, as there is a high population where I live). Very kind and loyal, may run from strangers, will tell you when she wants to play, but also will accept to be told to shut up and will entertain herself by having a funny five minutes on her own. 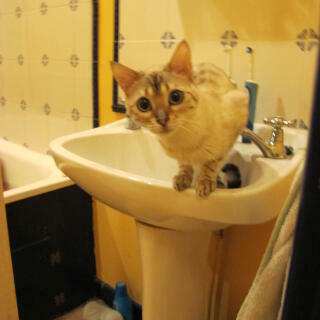 My only regret is she is a cat and she is now 7 so she will not be around as long as the children. She does have the recommended numerous names, including: Her pedigree name (Indian meaning of Priyadarshini is: Delightful to look at) for short Darshini, beautiful, ringed tailed lemur amognst others some can not be printed. Locals call me the chicken lady as I hatch a brood every year, but Darshini would hate for me to be the Cat Lady as she is more than content with her lot!! 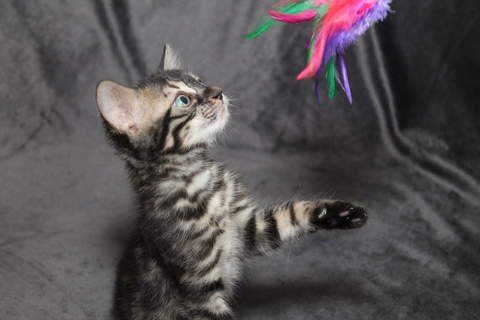 Check the breeder out before you buy, Darshini was not released until 14 weeks, and was kept as a house kitten with the family and dog for the last 2 weeks.